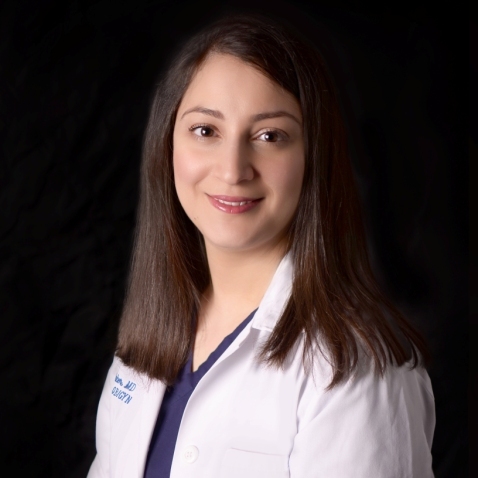 Dr. Sara Jaber was born and raised in Lebanon where she received her bachelor’s and medical degrees from the American University of Beirut. She then pursued a post-doctoral research fellowship at the University of Washington in Seattle before completing her residency training in Obstetrics & Gynecology at the Henry Ford Hospital/Wayne State University in Detroit, Michigan. Dr. Jaber is dedicated to caring for women from adolescence through menopause. She enjoys all aspects of obstetrics & gynecology and prides herself on providing competent and compassionate care with a focus on empowering women to be active participants in decision-making regarding their health care. In her free time, Dr. Jaber loves to travel exploring new cultures and cuisines, cook, hike and spend time with her husband and daughter.